The parking problem in the UK is growing at an extraordinary rate. Car crime rates are up and an increasing number of people are constantly complaining about the lack of secure parking around. The problem is only getting worse. As a result, entrepreneurs have started companies in an attempt to solve the issue to a certain extent. What are these companies doing? They are taking groups of parking spaces, or complete car parks and leasing single spaces to individuals and companies. Smart, right? How has this affected individuals in the UK? Access to safe, secure parking spaces. A way for individuals who own spare spaces to earn passive income. So, let’s tell you about some of the top companies who compete within the parking industry. They set out on achieving their mission of becoming the UK’s online parking marketplace in 2013, after an investment from Harrison Woods. They re-launched in 2014, allowing motorists to find and book hourly, daily as well as monthly spaces UK-wide. JustPark is heading into its 13th year of operation, having been founded in 2006. 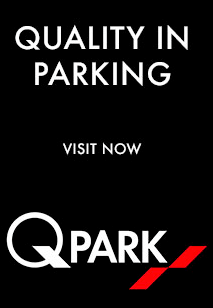 They strive to make the parking function seamless and easy for drivers. In doing so, they have developed apps that are currently helping over 1.5 million drivers make the parking experience easier as well as 20 000 property owners efficiently use their assets. What’s more, LocalGlobe, Index Venture, BMW I Ventures, and CrowdFunding have all invested in the success of this ever-growing business. They have well-trained, professional employees. Their facilities are situated in strategic locations, they are efficient and offer value-added services. What’s more, they provide mobility solutions to a variety of customers, ranging from offering parking spaces to motorists to developing quality upgrades for landlords. With most parking difficulties in Milton Keynes stemming from the shortage of spaces for business and their staff, we are focused on fixing this problem. We solely focus on offering long-term rentals for parking in Milton Keynes to businesses and their staff. The spaces that we offer are secure, specifically underground, gated on ground level or in multi-storey car parks that can be accessed by a fob, password or code. What’s more, we offer individuals with spare spaces the opportunity to earn some passive income through the following two options. In short, we give individuals the opportunity to have a secure parking space as well as the opportunity to earn passive income using their spare space. 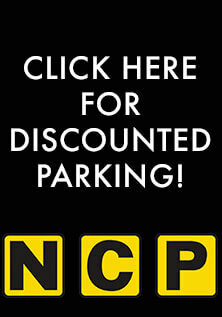 National Car Parks is currently the leading car park operator in the UK. Founded in 1931 as a small operation in West London, the company began to take shape after the acquisition by Central Car Parks in 1959. They launched the UK’s first private-public partnership in car parking in 1999, setting up a joint venture with Manchester City Council. They own more car parks than any other company in the UK, This statistic includes over 150 000 spaces in over 500 sites. They offer a broad range of products and services, allowing them to help consumers and business alike. Securing one hundred percent of their electricity from a green source in 2010, they are extremely socially and ethically responsible. To conclude, as an individual who experiences parking issues constantly, you have been given the opportunity to secure your space with these companies. Don’t get us wrong, there are many others, but these are the most notable companies from our perspective. Don’t miss out, keep your car safe wherever you decide to travel to around the UK. On the other hand, you can earn great passive income through a few of the companies mentioned above. To make it easy, head to our website and decide which option suits you better.